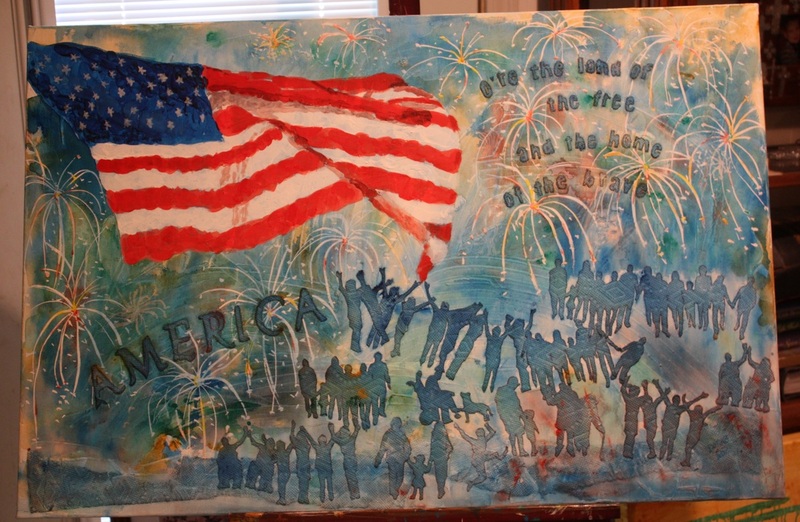 This is the second painting in a series of patriotic paintings prepared for Fourth of July 2016. The proceeds for the sale of these paintings will benefit veterans' charities. I believe I was assigned by God to paint the flag series of paintings and let God handle the details. It seemed a bit far fetched but with all things with God, I have learned, anything is possible. If He calls me to set up my paintings in my front yard and sell them for charity, I'm not going to argue with God no matter how funny of an idea that seems to me! To learn the story behind the Flag Series paintings and why I am donating all of the proceeds to veterans' charities, click here!